To encourage high standards of architecture and town planning in the Leith area. This can only be achieved by looking at how Leith can fully operate as a town within Edinburgh. Leith requires adequate numbers of homes for its inhabitants, but it also needs sufficient work, and facilities for leisure and play. We believe that tourism should be a significant contributor to income and job creation within Leith as well as Leith's expertise in the creative industries. The community councils in Leith now undertake the detailed consideration of planning applications in their areas. We still look at major projects and consider their implications for Leith. 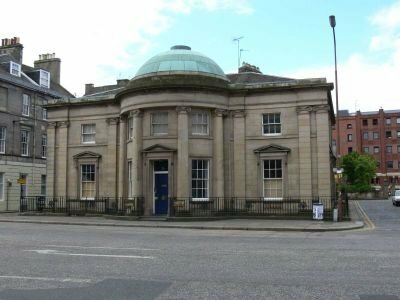 Leith Civic Trust, together with several other Leith Community organisations, negotiated with the City of Edinburgh Council to save the building for the community. They purchased the building and leased it to SHBT to manage its regeneration and restoration. Since then it has become a thriving hub for creative arts. The longer-term vision is to include a museum, a tourism hub, and more public areas. We are represented on the Custom House Heritage Advisory Committee. We are now working with other Leith groups and Scottish Historic Buildings Trust to develop walks around Leith’s String of Pearls. It is hoped that these would be well signposted and open to the public where possible. It is hoped that the routes will be shown on a Leith app as well as in tourist paper maps replacing those which we have produced for the last few years. 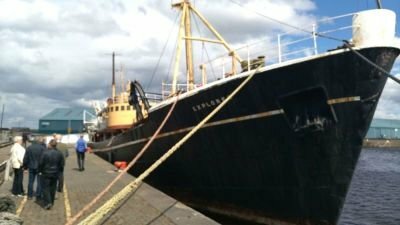 SS Explorer is one of the last surviving sea-going steam trawlers and is registered to Leith. She has been placed on the National Historic Ships Register and the SS Explorer Preservation Society is currently restoring her in the Edinburgh Dock, Leith. The Society have a vision for the ship to become a permanent member of the String of Pearls as a museum ship. We fully support this. It appears that the Trams project will be extended through Leith to Newhaven. It is essential that we are provided with sufficient funds to make Leith and Newhaven worth coming to before the trams are operational. Before the trust was founded in 1968, Leith had suffered some really hard times. Shipbuilding had been badly damaged by an ill-conceived partnership between Henry Robb and the Dundee shipyard Caledon forced upon them by British Shipbuilders. Other traditional industries were removed from Leith by Development Area legislation in late 1960’s when all Scotland except Edinburgh and Leith achieved Development Area status. Many old Leith businesses left the area and the local authorities considered that any development must be good for the area. This resulted in the demolition of fine medieval streets including The Kirkgate and the Tollbooth Wynd, and replacing them with monstrosities. The Rotary Club of Leith objected to the development, but finally relented when Edinburgh Council agreed to include a Community and Sports Centre. Afterwards Rotary realised that their Constitution did not permit them to undertake such semi-political ventures, and after some public meetings, Leith Civic Trust was established with a Rotarian, Alastair Donald elected as the first chairman. The Leith Project in 1981–6 started a revival in fortunes. Margaret Street MBE, our hard-working secretary and later Chairman managed to save The King's Wark and Pilrig House. As the active members of the trust grew older the trust gradually became dormant in the early 1990’s. In 1995 the Cutty Sark Tall Ships Race was started in Leith and many Leith organisations combined to support it. The event was a great success. Despite poor weather, huge numbers of visitors came to Leith and all had a wonderful time. After the race the local police superintendent, Alan Naylor, suggested that this co-operation must be continued and that an organisation must be formed to act as the catalyst. Stewart Valentine, a member of the original committee, led the revival of Leith Civic Trust to be that organisation. 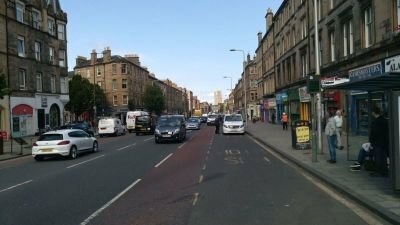 Open Spaces Review – This had twin aims – to calculate the numbers and extent of open spaces in Leith, and to maximise their uses for recreation. We intend to return to this project taking into consideration the building developments since that time. 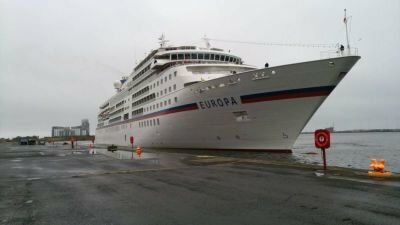 String of Pearls – This was to encourage tourism to Leith. It was wholly accepted by the City of Edinburgh Council. The hub of the project was to be Lamb’s House. Leith Civic Trust created a Friends of Lamb’s House organisation with the enthusiastic support of the owners, The National Trust for Scotland. Unfortunately, there was a change in the situation at the National Trust and they were forced to pull out from the project and sell the building. The new owners have shown just how the building should have been treated. It has been wonderfully transformed. The String of Pearls principal is still valid and we continue to pursue the aims with Leith Custom House as the hub. Clean Up Leith – We undertook several clean-up operations around Leith. We are delighted that this is now being continued by the Friends of the Water of Leith Basin and others. The road renewal programme is helping in many places, but the Water of Leith is still a complete disgrace, It is extremely silted and there are great concerns that, with the flood prevention measures upstream having removed flood plains, there is a considerably increased danger of flooding in the Shore area. 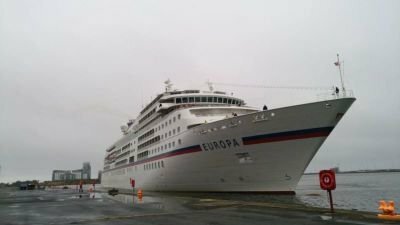 S.S Explorer – We were approached by the board of the SS Explorer Preservation Society to assist them in their efforts to bring the ship up to an exhibition standard. We assembled a group under the guidance of Tom Gray, from the Edinburgh Rotary Club. We had the ship surveyed by an ex-Royal Navy marine surveyor. An estimate was produced for the work to be undertaken professionally and all the necessary funds were raised. 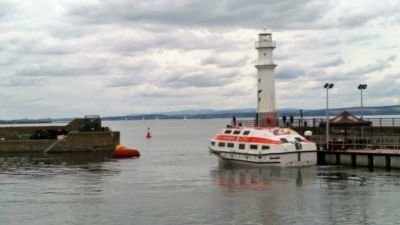 However, some members of the Preservation Society were angry that we did not expect the ship to be able to meet the up-to-date sea-going regulations. They demanded that we merely hand the funds over to them and let them spend as they saw fit. The potential funders withdrew their offers. We have recently been advising the new committee of the Society. Wall Plaques – We also discussed the plaques originally placed on buildings by the Leith Development Trust. We are keen to continue the practice and made a list of potential sites. However, insurance costs are prohibitive for any organisation apart from the local authority, and we were unable to persuade the City of Edinburgh Council to undertake the actual erection of the plaques. We are working on a new integrated tourism project which will see more plaques erected.